Travel by train is now a whole lot faster with the introduction of the KTMB high-speed ETS Train in Malaysia (keretapi laju) - (Electric Train Services) that are now operating the routes in the Peninsular, up from Kuala Lumpur's KL Sentral, then from Gemas. 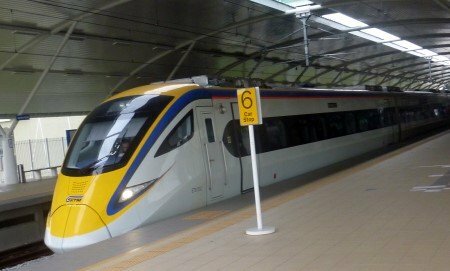 Capable of speeds of up to 160kmh (although they only travel up to 140kmh in service), these new train services have cut travel time in half, compared to the older diesel Intercity Trains that KTM used to operate. The ETS services from Kuala Lumpur to Ipoh have been running for a few years now, but from the 10th of July 2015, new ETS routes started to be opened up and now many more services are available from the border with Thailand to the north, to Gemas in the south (the last section to JB Sentral in Johor Bahru is due for completion in around 2020). ETS Gold, Silver or Platinum? ETS Platinum Services have the least amount of stop, calling at only the main stations along the route and are the quickest way to get you to your destination, so the most expensive. ETS Gold Services are limited stopping trains and have the most frequent departures of all the services. ETS Silver Services stop at all stations along their route and are the cheapest of the three options, but currently only operate a few services on the KL - Ipoh - KL route. From the 19th May 2016, all the long distance old diesel Intercity Trains on the N-S Line have been cancelled. From this date, only ETS Trains are operating long distance services between Padang Besar and Gemas. 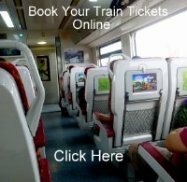 Book your ETS Train Tickets Online. Travel from KL Sentral Station to Ipoh on one of the many ETS Trains a day on this route. You could also take the new limited stop Gold and Platinum Service trains from KL to Padang Besar or Kl to Butterworth (see below). Starting from 1st September 2015, there is a new ETS service between KL Sentral to Butterworth. Travel to the border with Thailand from Butterworth Penang. Please Note : All ETS services to Padang Besar will no longer be taking the branch line to Bukit Mertajam or Butterworth and now travel direct from Gemas / Kuala Lumpur to the border. So you can now travel all the way from Perlis to Perak by cheap commuter services (changing at Bukit Mertajam). This new ETS Gold and Platinum service speeds its way up to the Thai - Malaysian border railway station of Padang Besar, stopping at only the main stations on route. You can use this train to get to Ipoh or Langkawi Island (via Alor Setar or Arau) and many more places. From the 10th October 2015, the ETS Trains started operating to and from Gemas Railway station in Negeri Sembilan. 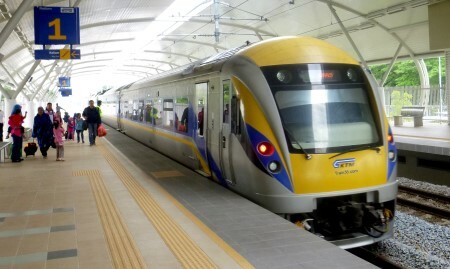 There are ETS Trains from Gemas to Padang Besar and another from Gemas to Butterworth. With all these new routes now in operation, KTM is constantly changing the train timetable and this looks likely to happen for a few years to come, as more trains are purchased and put online and the final part of the N - S route is completed (dual electrified tracks) to Johor Bahru. Ticket prices for the new ETS services are relatively low, but more expensive than most bus fares. Tickets for trains in Malaysia can and should be purchased in advance. Booking periods vary throughout the year due to all the timetable changes, so you will have to check to see up until what date tickets are on sale for - sometimes its just a week or two - sometimes two months or more. You can buy your tickets from any mainline Railway Station or you can book online, which not only saves you the time and expense of travelling to the station. 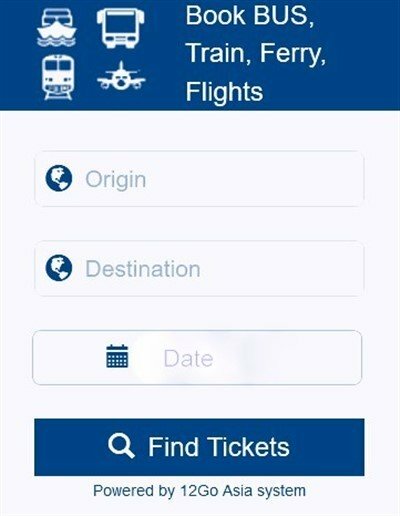 There are two ways you can book your ETS Train tickets online. You can book direct with the KTMB website - This however, is not the easiest solution as the booking system is not the easiest to use. The other option is to book through an online ticket agent - their booking process is a lot simpler and quicker to use, but you will have to pay a little bit extra as they add an admin fee. Please note: when booking online, you can now choose your seats whoever you book through (agent or KTM).